Detroit, Michigan – A group of Detroit firefighters showed support for another firefighter who was fired for bringing a watermelon into work as a gift. Anti-police ESPN anchor Jemele Hill was suspended from ESPN for two weeks after she urged NFL fans to boycott advertisers of the Dallas Cowboys after its owner Jerry Jones would not play any player who didn’t stand for the national anthem. Somerville, MA – Somerville Police Officer Louis Remigio, age 55, died on Monday, October 9, from injuries he received in a motorcycle crash on Sunday. Auburn, MA – Webster Police Officer Michael J. Lee, age 38, died Saturday morning, October 7, in a traffic crash. 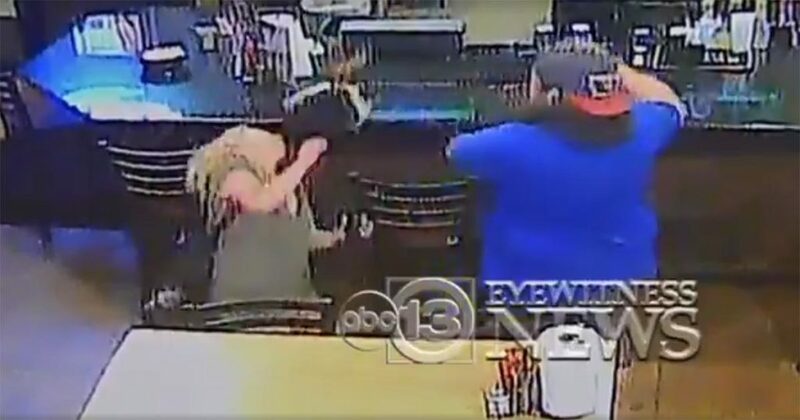 Baytown, TX – A fight between a couple in a popular restaurant was captured on video, posted to social media, and has since gone viral.